Last week's comic for Investing.com had to do with the new Michael Lewis book "Flash Boys". In the book, Lewis talks about High Frequency Trading and the idea that the stock market is "rigged". 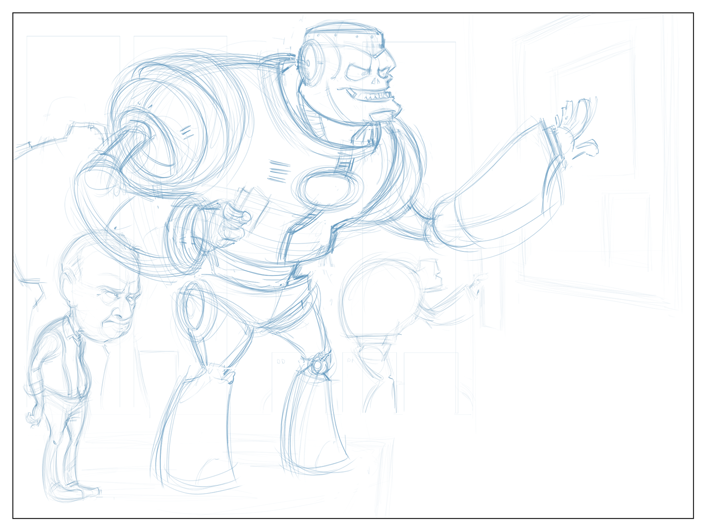 To illustrate this idea (literally), I was asked to draw a giant, evil-looking robot pushing around a chart on a screen. Behind him, there was to be a frustrated and defeated-looking human. I don't get the chance to draw evil robots all that often, so this was super fun. 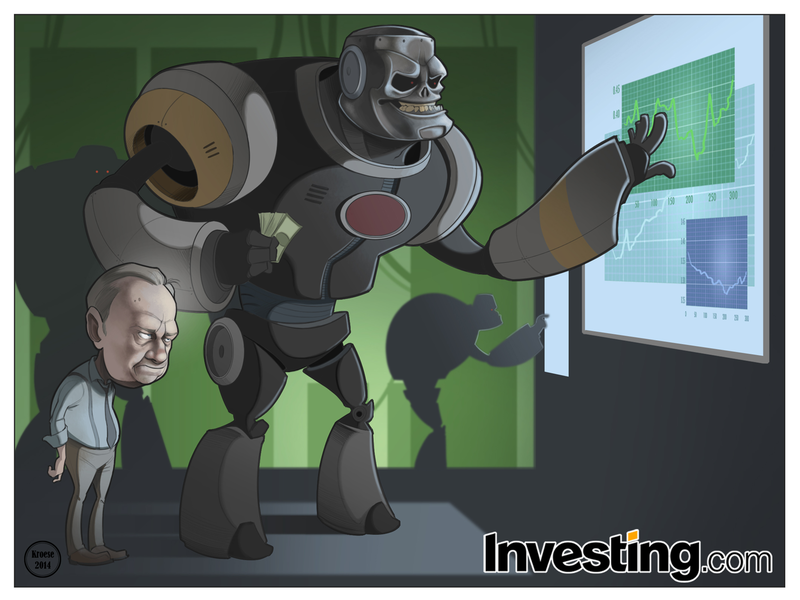 The team at Investing.com asked that I make the robot look somewhat like the Terminator. While some of the facial features are similar, the body is completely different. The complexity of the Terminator body was way too much to ape in a one-day turnaround (yeah, I'm going to play the "time" card again). As far as the human was concerned, I thought about who the character should resemble. Who embodies frustration and defeat? There are a lot of good examples, but I think few are comparable to Jack Lemmon in "Glengarry Glen Ross". He's the epitome of frustration and suffering. He's almost completely gray in color and always a bit dumpy looking in manner and expression alike. I've been trying some different approaches to backgrounds lately and I really like this one. It's simple, but still manages to show depth. I think it's interesting but manages not to distract too much from the foreground. The whole comic reminds me of a cell from a cartoon or animated movie, though I'm not exactly sure why. This comic was all sorts of fun.